NDN Collective Founder, President and CEO Nick Tilsen attended a convening in Washington, D.C. on March 18 & 19, organized by New Consensus, an organization working to develop and promote the Green New Deal. 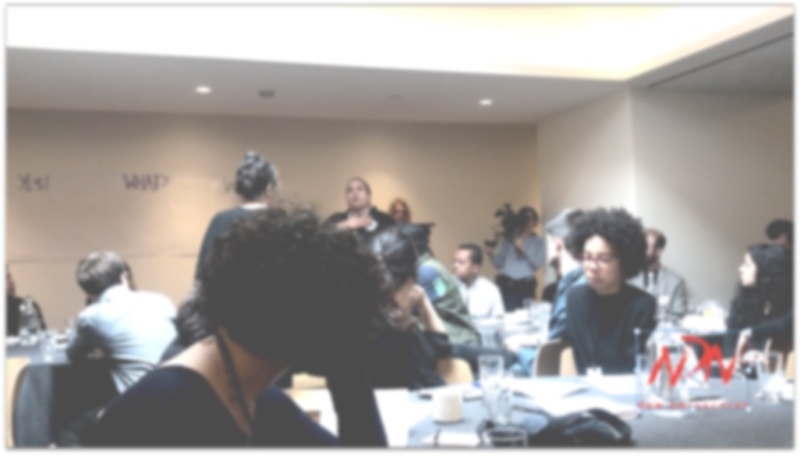 Tilsen attended the convening with one specific goal in mind: to ensure that Indigenous voices and Indigenous frontline communities are directly involved in the Green New Deal organizing process. While at the convening, Tilsen also stood in solidarity with the Climate Justice Alliance (CJA), an organization consisting of 67 urban and rural frontline communities. Leading up to the convening, CJA identified problems within the organizing processes of the Green New Deal and attended the meeting to address this. In a statement read at the convening, CJA outlined four demands of New Consensus, including an ask that New Consensus work directly with grassroots communities and not supplant them in the Green New Deal organizing process. While NDN Collective is not a member of the Climate Justice Alliance, NDN Collective President Nick Tilsen stood in support of CJA, having direct experience organizing with frontline communities. Tilsen served for 12 years as the Founder and Executive Director of Thunder Valley CDC, a community development organization on the Pine Ridge Indian Reservation. Thunder Valley CDC is a regenerative community built with sustainability and clean energy projects woven into each step of the community building process. NDN Collective was established to scale impact in Indian Country and to build the capacity of Indigenous communities to develop Indigenous-led, sustainable projects that are in alignment with Indigenous values. In addition to his work with Thunder Valley CDC, Tilsen spent months on the ground in Standing Rock in the fight against the Dakota Access pipeline in 2016 and into early 2017, organizing direct action trainings, and participating in actions that slowed pipeline construction. Water Protectors walking to an action site during the resistance against the Dakota Access pipeline in the Fall of 2016. Photo by Josue Rivas. Nick Tilsen speaks at the New Consensus convening. Video courtesy of Climate Justice Alliance.